Speed up your recovery after orthopedic surgery. Get back to your life sooner. From the recovery room to the rest of your life, Lytle Medical Technologies focuses on accelerating the first 2-4 weeks of recovery and getting you back to what you want to be doing. Whether your goal is to return to the athletic field or to pick up your grandchild, Lytle will help you get there sooner. Lytle Medical Technologies provides a VIP experience with state-of-the-art recovery equipment to patients undergoing orthopedic surgery to address shoulder, knee, hip, ankle, and elbow problems. Avoiding unnecessary pain, reducing the risk of complications, and accelerating recovery are common patient goals — and likely on your list too. Lytle Medical Technologies will help you to accomplish those goals. After surgery, you will recover at some point, but will it take 12 months? Or will it take three? Lytle provides state-of-the-art equipment to aid and accelerate your recovery. Read more about our approach, services and equipment. Patients achieve functional motion 6 months earlier utilizing a continuous passive motion device compared to patients using a standard recovery plan. Did You KnowExcess swelling can limit range of motion. Get moving sooner with our Rapid Recovery Reliever Cold/Compression unit! 83% of patients using continuous-flow cold therapy discontinue narcotics to manage pain 6 weeks after surgery compared to 28% using ice pack cold therapy. Did You KnowUsing a Rapid Recovery Mover (CPM) at home can give you 7 times more therapy than traditional PT alone. Did You KnowYou can save 6 hours of drive time to PT over the course of your recovery (20 mins each way, 3 sessions per week for 3 weeks). The use of combined cold and compression therapy decreases a patient’s perceived pain levels by 30% at 6 weeks after surgery. When using at-home blood clot (DVT) prevention devices, patients’ overall satisfaction with their procedure is significantly increased compared to aspirin only. Did You KnowThe average PT copay is $20 per visit. That’s five days of using our equipment for the cost of one visit! 100% of patients who use a blood clot (DVT) prevention device in hospital and at home prevent a blood clot compared to 77% of patients who use a DVT prevention device in hospital only. 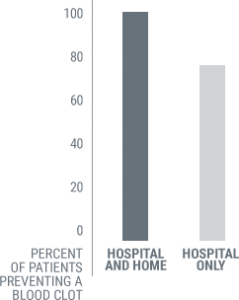 Did You KnowInsurances on average limit your PT visits to 8 – 20 per year. Make the most of them by getting a jump start with our equipment! how to accelerate your recovery. Whether you are considering surgery to repair an orthopedic issue, or are already scheduled for surgery, contact us about Lytle Medical’s safe, research-based, at-home/work therapy. Call, chat or message us for more information. How do I get the Rapid Recovery equipment? Once we receive a prescription from your physician, a Lytle representative will contact you to review your benefits and schedule a delivery to your home 1-3 days prior to surgery. How long do I keep your Rapid Recovery equipment? A typical rental length is two to four weeks, but that is dependent on your specific recovery needs. How does Lytle get my information? We receive your information from the doctor’s office when they order the equipment for your recovery. Or you may contact us directly if you are interested in utilizing our Rapid Recovery equipment. You will never receive a bill from your insurance company. You are only responsible for the copays and deductibles we quoted you. We do everything in our power to ensure insurance companies pay their fair share. How much does the Rapid Recovery equipment cost? Everyone’s insurance benefits are different. Please call us, and we will be happy to review your insurance coverage. Who do I call if I have problems? We have representatives available 24/7 to speak with you and troubleshoot issues over the phone. If we are unable to remedy the problem, we will come to you and fix or exchange the equipment. How do I return the Rapid Recovery equipment? A Lytle representative will contact you a day or two prior to your stop date and schedule an appointment to pick up the equipment. Do I get to keep the equipment? When we deliver the equipment we will explain what is a rental item and what is a purchased item. Braces are typically a purchased item and yours to keep whereas a Rapid Recovery Mover, Preventer or Reliever is a rental item and returned to us at the end of your therapy. Can I move the Rapid Recovery equipment? You can typically move the equipment from room to room if needed. What happens if the Rapid Recovery equipment is not covered by my insurance? Lytle has a program to ensure affordability for all patients. Please contact our office if you have any questions or concerns. What if I cannot afford my coinsurance? Under the Affordable Care Act, there may be programs to ensure affordability for all patients. Please contact our office if you have any concerns. Can I use an HSA / FSA to pay for the Rapid Recovery equipment? Yes. We do accept these as forms of payment. Does Lytle Medical Technologies work with VA benefits? Lytle works with many insurance programs to take care of all patients and heroes. I got a letter saying the equipment was denied, what do I need to do? Lytle Medical receives the same letter from your insurance company. Typically this is an error on behalf of your insurance company. Our billing department will contact them and initiate the process to make corrections. Be assured that the amount we quoted you is correct and that amount is the maximum you will pay. Does Lytle Medical Technologies work with all insurance companies? Lytle Medical works with all insurance companies to access the equipment you and your doctor believe will benefit you in your post-op recovery. How will the Rapid Recovery Reliever help in my recovery? The Reliever helps decrease pain, swelling, and reliance on pain pills by gently and intermittently compressing your limb while circulating ICELESS cold water. This combination of compression and cold is what makes the Reliever such a valuable therapy. It accelerates the first 2-4 weeks of recovery to get you back to your normal life sooner. Will the Rapid Recovery Reliever give me frostbite? The Reliever is set to a safe but effective temperature that will relieve your pain without risk of hurting you. It cycles on and off to provide the easiest recovery possible while preventing tissue damage or frostbite. It can be used continuously 24 hours a day (without the risk of frostbite) after surgery. What is the size of the Rapid Recovery Reliever equipment? The Reliever unit is the size of a small toolbox. The doctor told me to wear my sling/brace all the time, how does that work with your cold therapy equipment? When we deliver your equipment we will instruct you on how use the equipment with your specific sling or brace. We want you to get the most relief and have the quickest recovery possible. My friend has an icing cooler from a previous surgery, can I use that? You could use your friend’s equipment, but it may not have all the benefits and features of the Rapid Recovery Reliever. The Reliever helps decrease pain, swelling, and reliance on pain pills by gently and intermittently compressing your limb while circulating ICELESS cold water 24 hours per day (without the risk of frostbite) or as often as your surgeon recommends. This combination of compression and cold is what makes the Reliever such a valuable therapy. If you do use an ice bucket type product please take care to protect yourself from frostbite by limiting the length of use and temperature of the therapy. Do I have to get the Rapid Recovery Reliever? Your physician has prescribed the Reliever because they believe it is beneficial to your recovery. Ultimately, it is your right to accept or decline the equipment. It is another tool that you can use to accelerate your recovery and get back to the rest of your life. What is special about the Rapid Recovery Reliever? The Reliever helps decrease pain, swelling, and reliance on pain pills by gently and intermittently compressing your limb while circulating ICELESS cold water 24 hours per day (without the risk of frostbite) or as often as your surgeon recommends. This combination of compression and cold is what makes the Reliever such a valuable therapy. How will the Rapid Recovery Mover (Continuous Passive Motion) device help improve my recovery? The Mover helps safely move your arm/leg through its natural range of motion earlier and more often than traditional protocols. Passive motion provided by the Mover leads to greater flexibility and less pain after orthopedic surgeries. 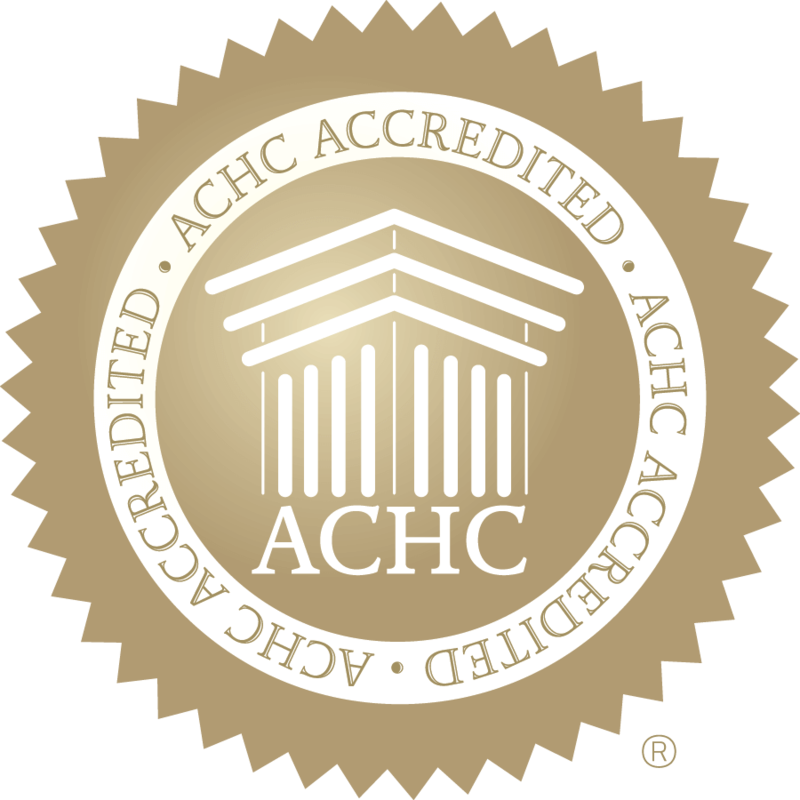 Our goal is to move you from the recovery room to the rest of your life as quickly as possible. What is the size of the Rapid Recovery Mover? Our Shoulder Mover is the size of a dining room chair. Our knee Mover is 3 or 4 feet long and a foot wide, perfect for using on a bed or a couch. The doctor told me to wear my sling/brace all the time, how does that work with the Rapid Recovery Mover? When we deliver your equipment we will instruct you on how to utilize the equipment with your specific sling or brace. The doctors want your arm/leg to move without using your muscles and straining their repair. Our continuous passive motion device helps accomplish that. Do I have to get the Rapid Recovery Mover? Your physician has prescribed the equipment because he/she believes it will be beneficial to your recovery. Ultimately it is your right to accept or decline the equipment. However, the Mover will help speed up the recovery process and get you back to the rest of your life. What is a Rapid Recovery Mover?  The Mover provides continuous passive motion. The Mover will slowly and safely move your arm/leg after surgery without your muscles doing the work. It helps reclaim flexibility and reduce pain while promoting healing and increasing range of motion. How will the Rapid Recovery Preventer help protect me? Our Deep Vein Thrombosis (DVT) prevention device, the Preventer, is an integral part of your post-surgical complication protection strategy. It will help protect you from developing a DVT (blood clot) by gently squeezing your lower leg. This promotes blood flow and helps reduce the chance of a clot forming. Do I have an alternative to the Rapid Recovery Preventer? Out of the many options available including blood thinners, your physician has selected mechanical compression to protect you from DVT without the risk of pharmaceutical side effects. If you have any questions regarding your options, you should consult your physician. What is the size of the Rapid Recovery Preventer? The Preventer is about the size of a small paperback book. Do I have to get the Rapid Recovery Preventer? Due to the potentially high risk of developing a DVT, your physician has prescribed the Preventer. Ultimately, it is your choice to recover with the best equipment available or you can check with your physician about alternatives. What is a DVT and why do I need to prevent it? A Deep Vein Thrombosis (DVT) is a blood clot that forms in your calf. It often occurs after surgery because patients aren’t up and moving around as much as usual. If the clot that forms in your leg breaks loose it can move to your lungs and create a life-threatening complication. Can I still get a blood clot while using the Rapid Recovery Preventer? The Preventer does reduce the risk of developing a clot; however, with any prevention method there is still a small risk of blood clots forming. Lytle Medical Technologies provides innovative, research-based post-op, at-home therapy to support rapid recovery for a wide range of orthopedic procedures.